–What is your academic background and what is your current position in UCHI/at UConn/Your Home Institution? I’ve been at UConn for almost twenty years now, in the History Department. I had a few short-term jobs after I got my Ph.D. from the University of Minnesota in 1991 and was very happy to be hired at UConn in 1998. I’ve been a professor of history here since 2005. My field of specialization is Native American history. I’ve published books and articles on various topics in Native Studies, from family and demographic history to women’s history to what has been a major interest of mine over the years, the history of race and racism. My last book was about New England Native men who worked in the nineteenth-century American whaling industry. It was the best research experience I ever had. I loved learning about what are now considered obscure places all over the world—Norfolk Island, St. Helena, the Marquesas—and I’ve since expanded how I describe my current academic interests to include maritime history and the history of the U.S. and the world, especially the U.S. and the Pacific. I have just completed another book, which is not out yet but I hope in a year or two. It is about Americans in nineteenth-century Fiji. My new book project—the one being funded by the Humanities Institute—is about the history of soap from the seventeenth century up to the present, more particularly about the history of how soap is made and about soap’s raw ingredients, so about the production of soap more than about its consumption, though I will deal a little with its consumption since obviously the two are related. This research is a big step away from anything I’ve previously done since it is more explicitly world history. I would also categorize it as environmental history since my focus will be on the extraction of the many oils used in soap—mostly tallow, olive oil, coconut oil, palm oil, whale oil–and how these geographically distinct materials came to conjoin in an ordinary household product. Soap is what I call a “global composite.” The world is represented in every bar of soap, and yet the chemical process that creates soap obscures from view what it’s made of and consequently also obscures the environmental, social, and global impacts spawned by the mass manufacture of soap that began in the seventeenth century and mushroomed every century thereafter. The history of soap probably seems a big move away from my earlier work in Native American history, but my interest in soap emerged out of the Native American whaling project so there is a connection. One of whale oil’s biggest uses was as an ingredient in soap. I didn’t think much about this early on. But there came a day when I decided that I needed to find some whale-themed gift to give to all the people helping me–archivists, people who wrote reference letters for me, and so on. I could not find anything attractive and affordable until after months of searching, I stumbled across the possibility of making my own soap, which I then learned how to do. I then made a sperm whale stamp based on one I found in a Native American whalemen’s voyage journal, which I stamped onto every bar of gift soap. My journey from complete ignorance about soap to producing it in my kitchen using exotic materials from around the world that I ordered online and were brought to my door by Federal Express and UPS is one I want to share with readers. The sense of wonder when I opened and sniffed a bottle of myrrh essential oil or got my hands greasy in a big tub of palm oil (certified as sustainably produced by the online supplier, but who knows for sure?) also made me want to know the history behind the sourcing of these materials. We take soap for granted. It is completely naturalized as a feature of most people’s daily routines, and yet not many people know how soap is actually made, what it’s made from, and who makes it. It is also considered highly virtuous for its cleansing and sanitizing properties. Behind this seemingly innocuous consumer product is a vast global workforce and an environment transformed to produce the oils that make soap possible. I like to think that people’s intimate relationship with soap would make them interested in finding out more about it. When Americans, for instance, worry about their global and environmental impact, they think about Nike sweatshops or global warming and the buzz about these big problem issues that make it into the general media seem all about finding easy fixes to prevent labor exploitation and catastrophic environmental degradation. By making people more aware of how something so ordinary as soap has engendered massive changes in global social relations and human relationships to their environments, I would be promoting awareness of how global interconnections and human dependence on oils are so complete and complex, there are no easy fixes. Soap is not the only global composite. We are surrounded by them. However, soap was one of the earliest and became one of the most entrenched as integral to human existence. I have a B.A. in Comparative Literature from the University of Wisconsin and a Ph.D. in American Studies from Yale. I probably gravitate towards interdisciplinary programs because I’ve never been sure what I wanted to be when I grew up. Still don’t. 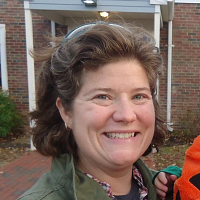 In non-Humanities Institute civilian life I am an Assistant Professor in Residence in the Urban and Community Studies Program and am based at UConn’s Waterbury campus, where I’ve been since 2002. Between Yale and UConn I worked as a freelance public historian on a variety of books, curriculum projects, exhibits, documentaries, and other more community-based history projects mostly focusing on Puerto Rican and Latino history. 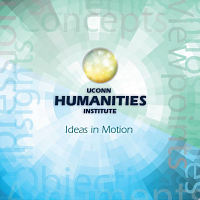 At UConn, the community engagement has continued with service learning projects for students in the history and urban studies courses I teach. The working title for my book project is “Brass City/Grass Roots: The Persistence of Agriculture in Industrial Waterbury, 1870-1980.” I’ve been working in a variety of archives around the state and conducting oral history interviews as well as reading massive piles of secondary literature on topics ranging from gardening to garbage, thanks to the Humanities Institute. It’s an odd story since it has nothing to do with my usual Puerto Rican/Latino research. Really the project emerged organically [pardon the pun] from my students’ and my involvement with a Waterbury organization called Brass City Harvest, that has been working since 2007 to create new sources of fresh food and jobs for the city through community gardens, greenhouses, a mobile produce van and more recently, a soon-to-be-completed food hub where area farmers can process their produce for sale. I was teaching an intro course in which we considered food deserts and food justice as contemporary urban issues. My students began to do service learning projects with Brass City Harvest and I joined the board for a while. The executive director asked me to do some research for a little exhibit on farming in Waterbury’s relatively recent past. I had had no idea about the local farming sector, and when I started talking to people and uncovering sources the project seemed worthy of something more lasting than the original exhibit, so that’s how the book came about. In a more general way, I hope to historicize the topic of urban agriculture, which is mostly talked about in academic and popular literature as an entirely contemporary phenomenon. But the story of Waterbury’s agricultural past is not unique, and there are many more such stories to be told about cities and towns which supposedly were 100 percent industrial until industry left. I hope to be part of an ongoing academic and popular conversation about how and why cities used to support their food sector, when, how and why they withdrew that support, and how they can support it again. In our era of deindustrialization, we need to look at ways to economically and socially revitalize our cities and there are many lessons to be learned from the past.